When an emergency strikes, it is critical that no matter where they are in your organization, everyone receives potentially life-saving notifications quickly and clearly. The Alertus Emergency Mass Notification System is a powerful and flexible solution that seamlessly integrates with and sends potentially life-saving alerts across your organization’s existing infrastructure and technology, including desktop computers, PA systems, VoIP phones, digital signage, mobile devices, fire panels, and more. Alertus Technologies, a leader in providing emergency mass notification solutions, is pleased to announce that the Alertus Unified Mass Notification System has been nominated to compete in the 2018 ‘ASTORS’ Homeland Security Awards Program. During an emergency situation—such as an active shooter or severe weather event—even a few seconds of warning can save lives. To help prevent tragedy when a crisis strikes Alertus Technologies® has spent more than a decade engineering innovative emergency mass alert solutions for large-area, high-occupancy facilities. The Alertus Emergency Mass Notification System is a powerful and flexible solution that seamlessly integrates with and sends potentially life-saving alerts across organizations’ existing infrastructure and technology, including desktop computers, PA systems, VoIP phones, digital signage, mobile devices, fire panels, and more. The Alertus Emergency Notification System is a comprehensive solution that can be implemented anywhere and activated quickly and effectively. Its seamless compatibility and integration with a wide variety of existing mass notification systems provides organizations a cost-effective way to enhance their emergency communications efforts. “Multiple activation points and hard to reach areas are just a few of the challenges an organization can face when alerting a large populace during a potential crisis,” said Jason Volk, founder and CEO of Alertus Technologies. Can you ensure everyone in your facility, campus, or organization will receive critical information, regardless of where they are and what they’re doing during an emergency? Outcall notification systems that use phone paging groups, email notification, or text messages are good starting points, yet these systems fall far short of providing adequate reach to ensure as many people are notified as possible. The Alertus System uses a multilayered approach with intelligible voice communications, presets, visible signals, text, graphics, tactile, or other communication methods to reach and alert more people, more often, in the event of an emergency. The Alertus Alert Beacon is designed to serve campuses, military bases, and other large facilities that presently lack an in-building emergency notification system and where retrofitting a conventional voice public address system is impractical and cost prohibitive. Alertus’ open API allows for easy and seamless integration with a variety of legacy mass notification technologies. This allows Alertus to unify disparate systems under one, powerful yet easy-to-use system with an intuitive user interface that offers both, pre-set and on-the-fly activations that can be deployed with a single click of a button. For organizations without existing infrastructure, the Alertus System provides a cost-effective, yet highly efficient solution that leverages commonly found technologies to create a wide-reaching notification system. The Alertus System constantly monitors and reads multiple signaling inputs, including alarm codes from fire panels using the Alertus Fire Panel Interface. When an alert is triggered, the system can automatically apply smart logic technologies to broadcast situation-specific alerts over multiple communication paths. This ensures the right message gets to recipients instantly, regardless of where they are. Alertus Technologies offers a customizable array of emergency notification products, including the wall-mounted Alert Beacon®, computer desktop alerting, USB panic button, LED marquee display, text-to-speech interface for public address and giant outdoor speaker systems, fire alarm interface, VoIP phone alerting, digital signage and cable television override, and mobile phone alerting capabilities. By leveraging all available notification modalities Alertus can help you reach everyone at your facility – inside, outside, and even off-property – with consistent and timely notifications. Alertus provides an efficient, seamless solution that is both easy to use and provides a single point of activation across all notification paths and locations within seconds. Alertus also recognizes that organizations may already have a mass notification system in place. They have several options available that allow them to leverage your existing IT assets and facility infrastructure to cost-effectively deliver reliable, timely notifications. Alert Beacons, Panic Buttons, Indoor and Outdoor Speakers and LED Marquees. Alertus Technologies is a pioneer and market leader of emergency mass notification systems for large-area, high occupancy facilities. Since 2002 Alertus has engineered groundbreaking solutions for unified mass notification, in-building notification, outdoor notification, and personal notification. Alertus solutions have been implemented worldwide by thousands of organizations in multiple industries for any number of emergency situations, and currently provides notification solutions to over 2,000 customers worldwide. As an ‘ASTORS’ competitor, Alertus Technologies will be competing against the industry’s leading providers of Innovative Mass Notification Systems. 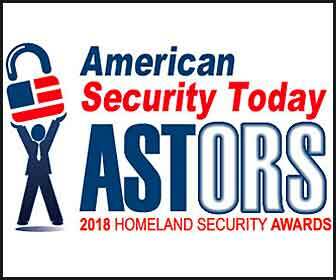 American Security Today will be holding the 2018 ‘ASTORS’ Awards Presentation Luncheon to honor Nominees, Finalists and Winners on November 14, 2018 at ISC East 2018 in New York City. Good luck to Alertus Technologies on becoming a Winner of the 2018 American Security Today’s Homeland Security Awards Program! To learn more about Alertus Unified Mass Notification System, please visit the company website at https://www.alertus.com/.